After last year’s sell-out golf tournament, we are excited to hold it again at this prestigious golf course. Lots of prizes, lots of fun, lots of networking with your colleagues and peers in a relaxed atmosphere. We look forward to making this the best ISPE-CaSA Golf Tournament ever! The ISPE-CaSA Chapter established a scholarship fund in 2015 to encourage students who seek a career in the life sciences industry. The ISPE-CaSA Jane Brown Scholarship is awarded to an eligible CaSA Student Chapter member, who is enrolled in either an undergraduate or graduate field of study at an accredited university or college. 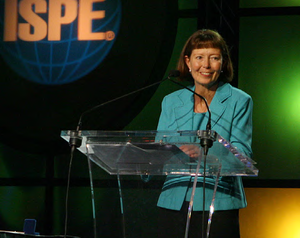 Jane's contributions to ISPE are immeasurable. In 2011 she was awarded the James B. Purdy Distinguished Achievement award for her consistent, dedicated and passionate service to ISPE over a period of 18 years. Since joining the Society in 1993, Ms. Brown served in numerous leadership roles, culminating in chairing the Board for ISPE's Carolina South Atlantic Chapter in 1999, and ultimately serving as Chair of ISPE's International Board of Directors in 2007. She is perhaps best known for her selfless work in developing programs and raising awareness on behalf of ISPE students and the young professionals movement. Her efforts to charter the first student chapters across the organization have specifically helped CaSA grow to the exceptional group of students, young professionals, and professionals we have today. Last year the ISPE CaSA Chapter raised approximately $7,000.00 in charitable funds. Sponsors will receive signage at the event, recognition and Thank You from the podium. Your Company logo will appear on the weekly e-Blasts and in the Chapter Newsletters. Please visit our Sponsorship page. On-line registration ends at 12 noon, May 17. Walk-ins are welcome and should plan to be at Prestonwood CC at 8am, May 20. 100% of the Jane Brown Scholarship Fund sponsorships will be used for education scholarships for ISPE-CaSA Student Chapter members in their undergraduate or graduate programs in the life sciences. Raffle, Mulligans, Drop Zones and other endeavors to benefit the Jane Brown Scholarship Fund. Lunch and Awards Presentation after Golf with Great Prizes! Prestonwood Country Club offers 54 holes of championship-caliber golf. The spectacular course takes full advantage of the area's gently rolling land. It boasts of uncompromising vision and impeccable execution. Designed by golf course architect Tom Jackson, the course’s mirrored ponds and manicured greens offer golfers of all skill levels a challenging game. Rain Policy: The golf event will take place as scheduled, rain or shine! In the rare situation that Prestonwood Country Club deems the golf course unplayable, each registered player shall receive a refund from ISPE-CaSA for the registration and sponsorships fees, minus any realized expenses. If the golf is cancelled by Prestonwood Country Club, the luncheon, awards and networking portion of the golf tournament will also be cancelled. ISPE-CaSA General Refund Policy: Payment for ISPE-CaSA event registrations and sponsorships can be made by check, Visa, Mastercard, American Express, or Discover. Payments are non-refundable and non-transferable unless otherwise specified by the event registration or sponsorship site. In the case an event is cancelled by ISPE-CaSA, a written request for credit towards a future event should be submitted to info@ispe-casa.org within 10 business days following the date of the scheduled event. Requests submitted after this period may not be approved. Walk-ins should contact info@ispecasa.org before arriving on-site at 8am on Monday to ensure we can add you as a player. & spreads and other selections. in a refreshing new way.